One of Ajay Devgn’s most prized possession is a coin that is also a reminder of his first brush with stardom. The history behind the coin is that the actor had gone to a suburban Mumbai theatre to gauge public reaction to his debut film. “It was the second day of Phool Aur Kaante and I quietly sneaked into the theatre and sat in the first row. It was on my entry scene that people started clapping and whistling and then started throwing coins. One of the coins fell on my head and I still have that coin,” reveals Ajay. When I meet him at the Novotel, it’s a day that has been earmarked by the publicist of Ajay’s upcoming film Raid to finish all his promotional interviews. The yellow-blue checkered shirt with a denim reveals more about his casual attitude but the goggles in the air conditioned confines of the five-star hotel is an oddity. He reveals that his watering eyes has made him do so. 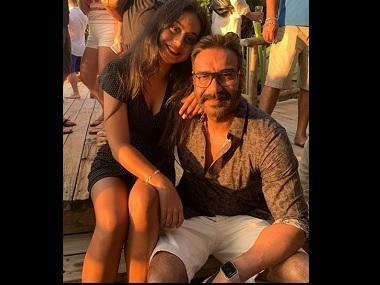 With Raid, Ajay is once again treading a familiar territory where the protagonist this time is a no nonsense Income Tax officer. 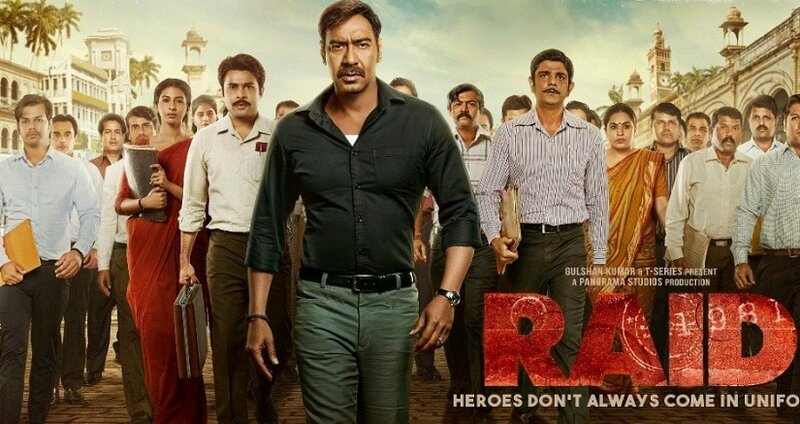 The story of Raid is based on a true incident that happened in Lucknow in early '80s. How much of the film is fiction? “Every film needs to be fictionalised otherwise it gets boring. It’s all about the screenplay so you have incorporate the highs and the lows. It's fictionalised as much as news. You often get to hear background score in news these days,” quips Ajay. The old guards of the film industry have often been heard saying that filmmakers get inspiration for their films from what’s happening around them. The premise of Raid, though based on a 37-year-old incident, still holds relevance today. Ajay minces no words and accepts that none of the ideas of filmmakers is from outside. “If it’s a corrupt society, we show corruption in films. You pick any decade and see what sort of films were made in those decades. If you were to analyse you will discover that the films were exactly what the society was at point of time. Most of the films in '70s and '80s showed corrupt ministers and then in '90s most of the film tackled the subject of the underworld,” admits the actor. The interview with the star simply cannot get over without him be asked if he has ever been raided? “Yes, I have been raided once and it was in the '90s but I was not present when it all happened as I was out of town shooting for a film. The entire operation went on for a day or two and in the end they got nothing,” reveals a nonchalant Ajay.